With the ever-changing healthcare field, it’s important to make sure your employees have the latest knowledge and skills to take care of their patients and efficiently perform their job. Through Excel Training Institute’s Workforce Training Program, employers can send their employees for additional education and classes at our facility. Let us act as your outsourced training center! We work with nursing homes, assisted living centers, home health agencies, group homes, and hospitals. Our staff will work with your employees to improve their healthcare education through our classes and training programs. In addition to First Aid and CPR classes, we offer a training program for nurse aides and home health aides. 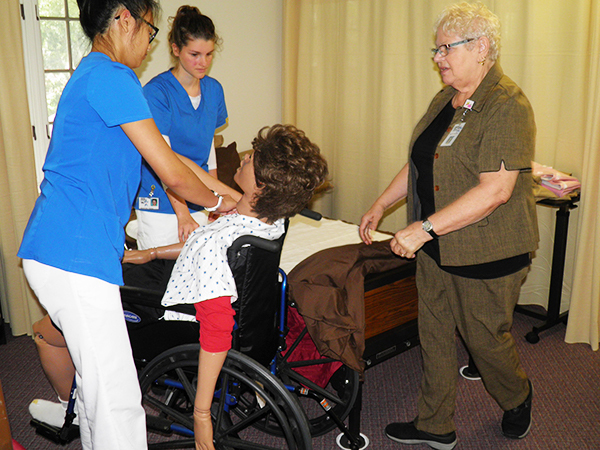 Our 120-hour Nurse Aide/Home Health Aide Training Program provides quality classroom, lab and clinical setting training to our students. Upon satisfactory completion of our course, our students qualify to take the Massachusetts State Competency Test to become a Certified Nursing Assistant (CNA). In addition, a Certificate of Completion for Home Health Aide Training is awarded. Education and skills will be more beneficial for employees and workers if they’re learned in a similar context to their day to day jobs and specific roles. Excel Training Institute offers customized training that’s tailored to the needs of each business and its employees. We’ll work with employers to understand what education and skills their employees need and create tailored programs. Your employees will be trained by Registered Nurses and Licensed Practical Nurses with extensive experience in both clinical and educational healthcare settings, short and long-term care, home care, and residential healthcare settings. Our staff takes pride in utilizing a team approach in education delivery and assist students to achieve their educational goals. If you’re looking to advance the healthcare skills of your employees, contact us today! Our training facility is located in Wilbraham, MA, conveniently located on the Indian Orchard, Wilbraham, and Ludlow town lines with ample parking and bus route access. For more information about our employer workforce training, call us at 413-583-8900 or email us at training@excelnursingservices.com.